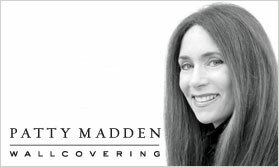 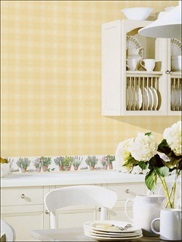 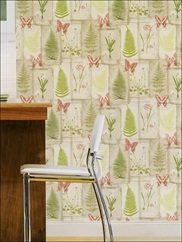 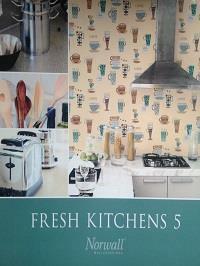 “Fresh Kitchens 5” is a comprehensive resource guide to decorating your dining room or kitchen interior spaces. 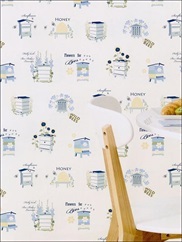 It features a diverse selection of wallpapers and matching borders in a garden-fresh palette of bright yellows, porcelain blues, country plaids, graphic café themed prints and faux smooth bricks. 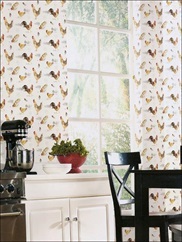 This collection is filled with life and brings the feeling of the outdoors to your kitchen with lively and unique culinary designs.